WALK-INs Always Welcome! Appointments Available! Stop by or call 763-262-9898 TODAY! VOODOO TATTOO STUDIO Welcomes You! HOME OF custom art specialists Michelle Jorgensen and M. Lex LeQuia (a.k.a The Reverend), Voodoo Tattoo Studio transforms your vision into stunning body art. 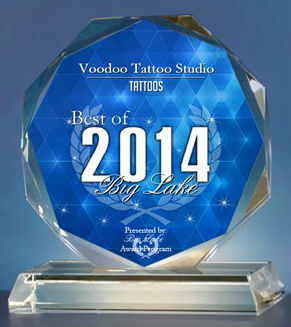 Open since 2007, Voodoo has been the recipient of numerous awards, including "Reader's Choice" for Best Tattoo Studio in 2011 and "Best Of Big Lake" in 2012 and 2014. Whether you're planning a sleeve, restoring an older tattoo, covering up your ex's name, even if you're a "tattoo virgin", we offer creative suggestions and solutions in all styles and traditions of the art form. True tattoo enthusiasts will tell you: not all tattoos are created equally. So if you're choosing to indulge in quality body art, choose the best. 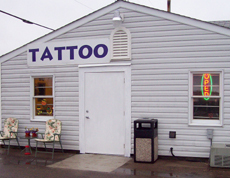 In compliance with laws that went into effect in January 2011, Voodoo Tattoo Studio, Lex & Michelle are all licensed by the State of Minnesota. With certifications from the American Red Cross for Standard First Aid, Preventing Disease Transmission & Blood-borne Pathogens, we exceed safety and sterilization standards. Our commitment to a safe experience and environment is one of the many reasons our loyal clients return again and again. We'd like to invite you to stop by and find out for yourself why we're recommended by so many... Voodoo Tattoo Studio is dedicated to creating a unique tattoo experience that's collaborative and unpretentious. Walk-ins are always welcome here! Many clients are referred to us due to our excellent reputation for repairs and cover-ups. 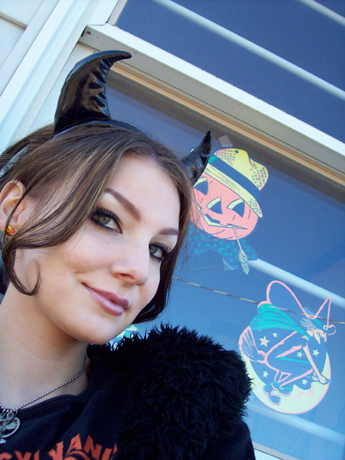 Voodoo Tattoo Studio excels at transforming and beautifying existing body art - see for yourself! 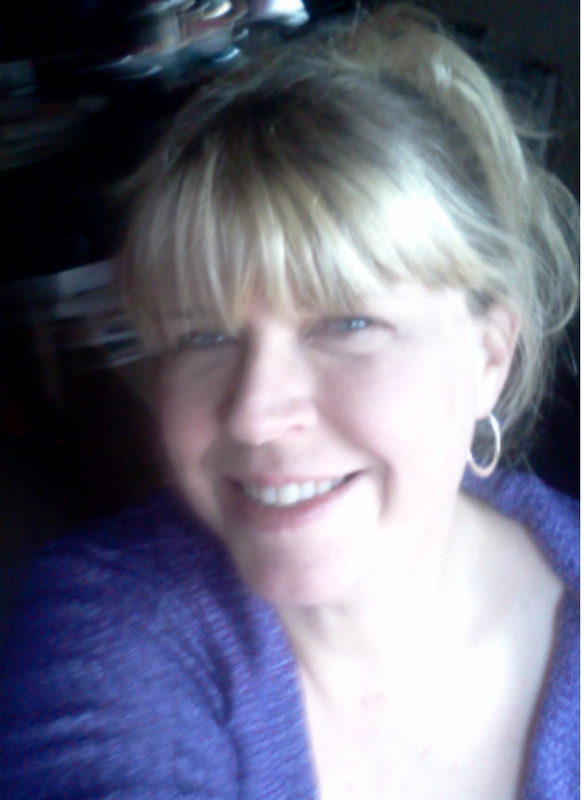 Use this link: Cover-Up, Repair and Restoration Tattoos. Have you checked out our Client Rights & Cool Links page? It's loaded with Voodoo business philosophy, links to resources, fascinating web destinations as well as Voodoo's periodic Newsletter. Get to know our artists! Visit the profile & portfolio pages for Lex and Michelle to learn more about their artistic achievements, see examples of their fabulous work and get excited about working with one of them. Have you taken the online Voodoo Tattoo Studio Tour? Have you stopped by? We're easy to find at the southwest corner of Highway 10 and Eagle Lake Road at Putnam Ave. For more detailed directions, click here. Do you have more questions? Visit our FAQs page for answers to Frequently Asked Questions as well as a Special Note for "Tattoo Virgins".